Brings the First Law of Thermodynamics to life! 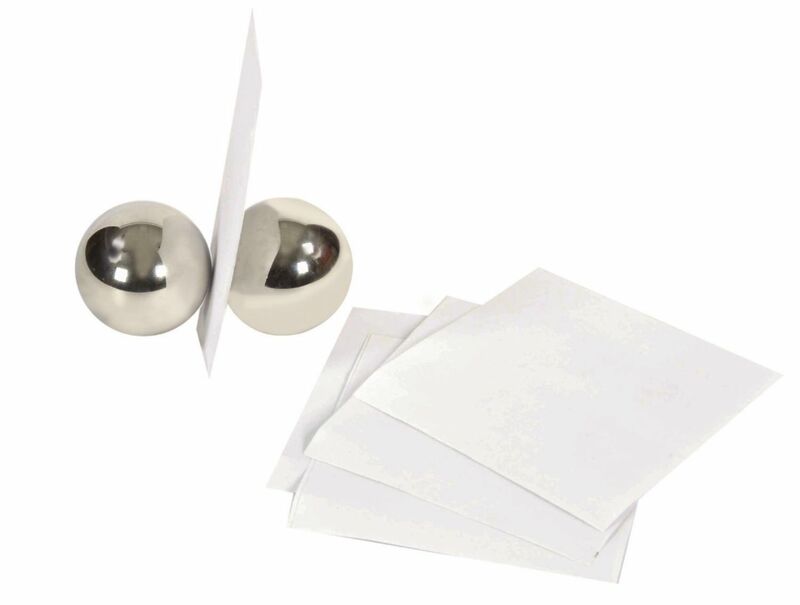 This pair of precision-machined, chrome-plated steel balls is actually a hands-on demonstration in energy transformation. By striking the balls together, you will create enough heat at the point of contact to burn a hole in a sheet of paper. There will be no flame but a charred hole will appear instantly along with the smell of burning paper. Each ball weighs 454 grams. Includes instructions with suggestions for tying the activity into national science standards.